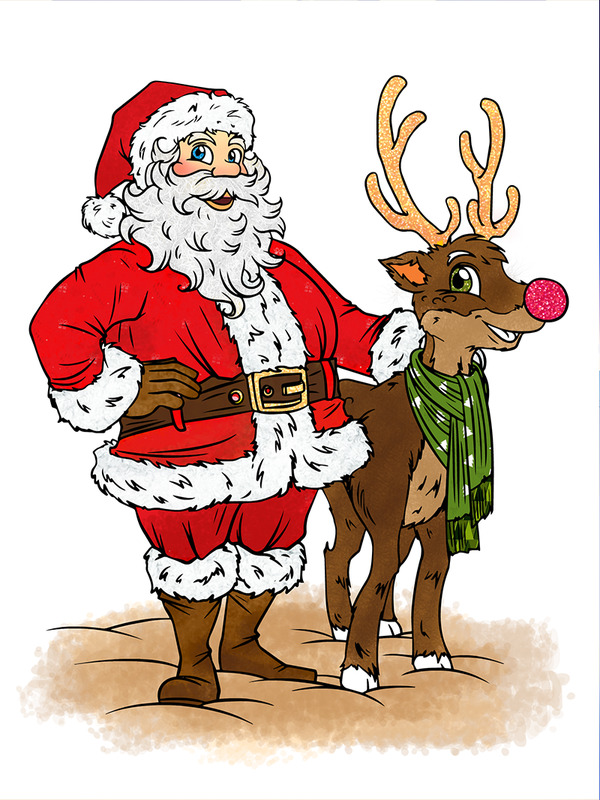 Get the whole family in the Christmas mood with our creative app jammed packed with features!!! 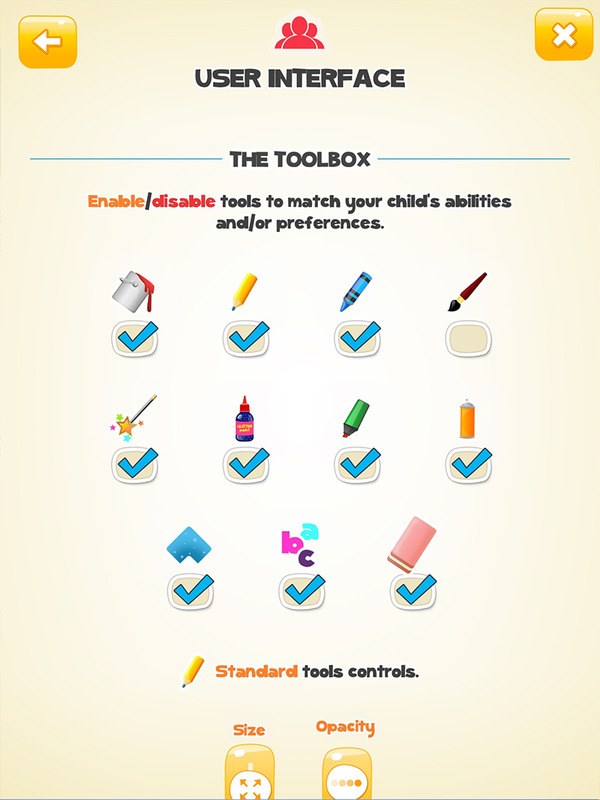 Besides creative features designed to keep the little ones busy with, we've developed a Customziable User Interface allowing adjusting the app to your child's abilities/needs/liking! 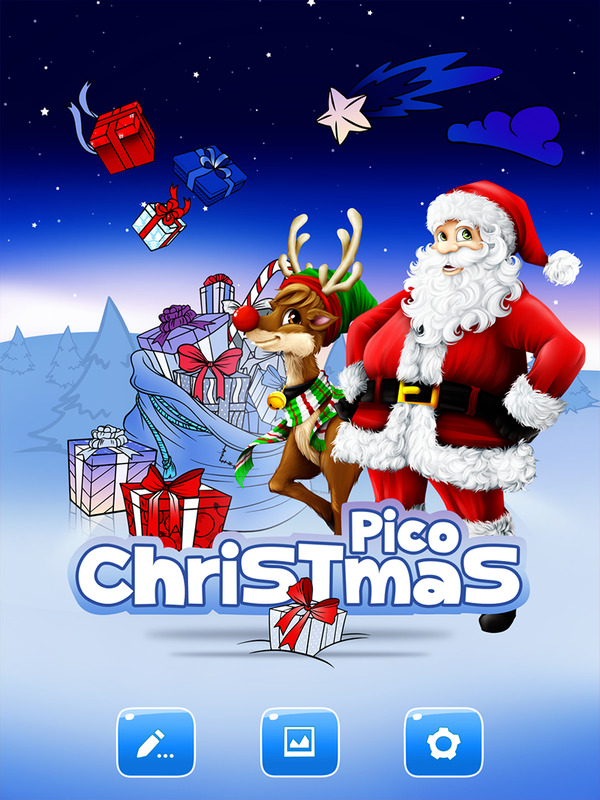 PicoChristmas is a stunning activity app providing hours and hours of fun for the whole family! 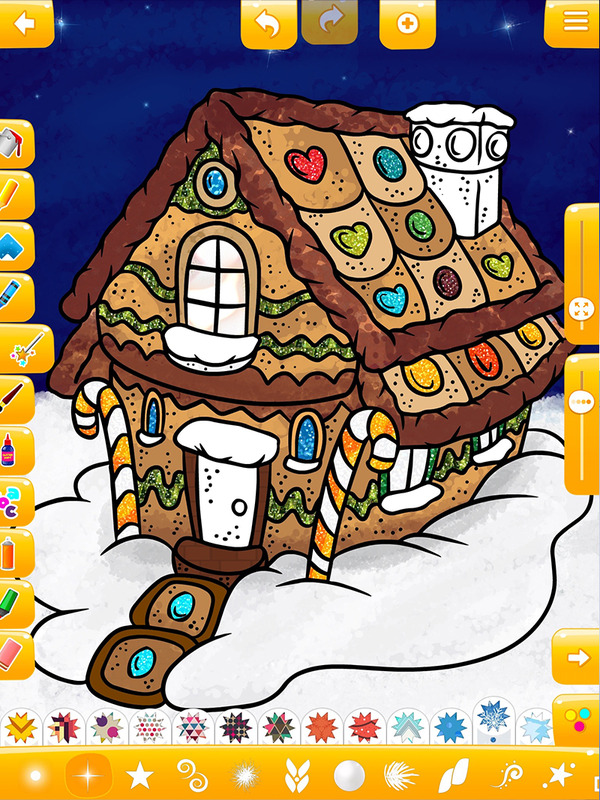 We've packed the app with all kinds of drawing tools from pencils, crayons to special effects tool, stickers, letters and more!!! to make drawing and painting as enjoyable as possible. The palette consists of 80 colors and 60+ patterns. which enable you to separately lock certain functions of the game, e.g., settings access, saving/deleting/editing drawings, copying drawings to the camera roll, etc. where you can save your drawings. 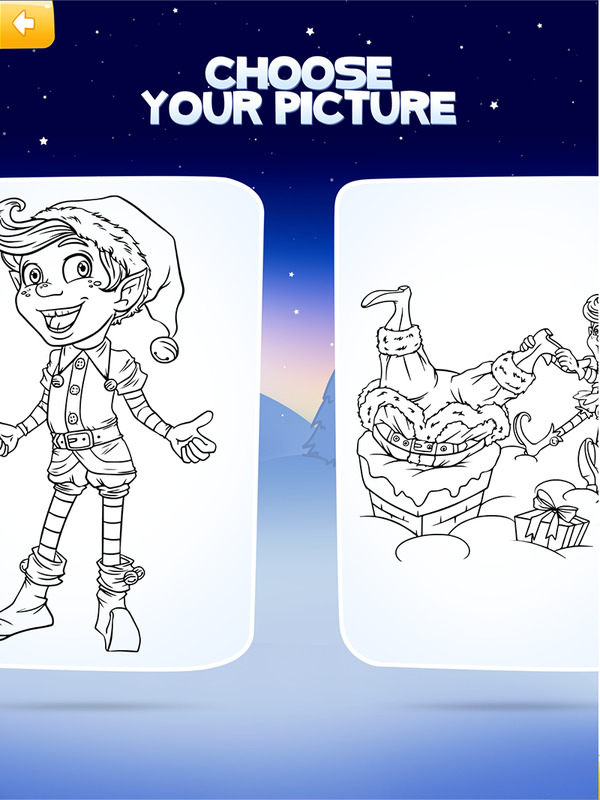 Each saved drawing can be edited and/or copied to the Camera Roll. You don't have to be a rocket scientist to use the App. Everething you need to know is covered in the instruction section of settings panel. A set of uniquely designed letters and numbers to sign your drawings - gives additional educational value. 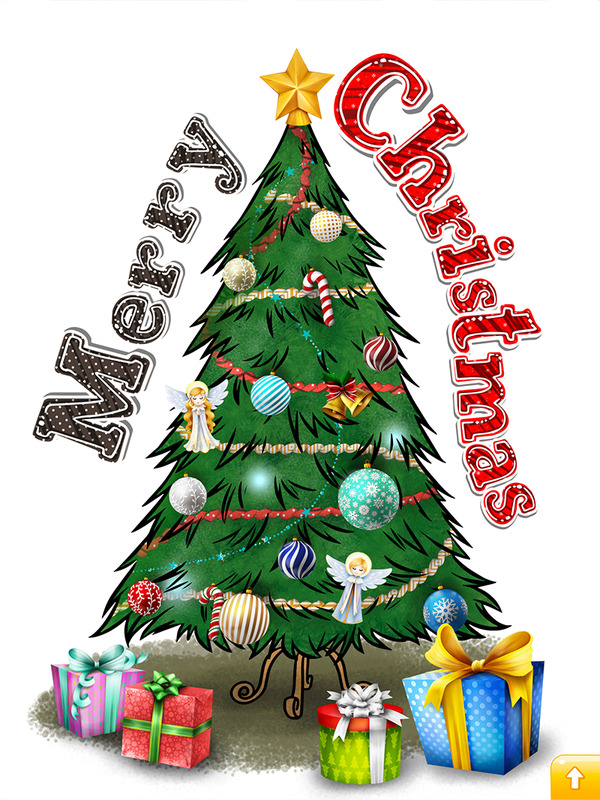 With this special tool you can add that beautiful sparkling touch to your drawings.